On behalf of Admin of JML Law, A Professional Law Corporation posted in Pedestrian Accident on Thursday, Feb 21 2019. The most common misconception about pedestrian accidents in Los Angeles is that the driver is always at fault. But this is absurd and far from reality, as pedestrians are just as likely to be at fault for causing a crash. Fact: Pedestrian deaths in Los Angeles have been on the rise lately, as there were 134 pedestrian fatalities in 2017, an 80-percent surge from 74 deaths in 2015. 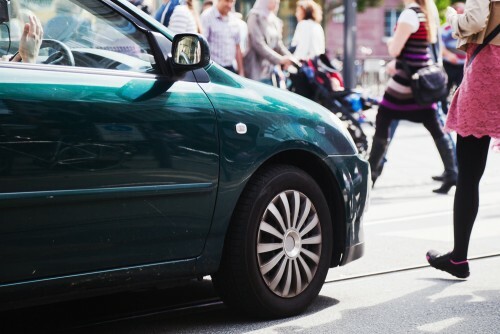 “Under California law, both motorists and pedestrians have a legal duty to exercise reasonable care to ensure the safety of other people,” explains our Los Angeles pedestrian accident attorney at JML Law. Contrary to the popular belief, this legal duty extends to both drivers and pedestrians, not just the former. Failure to act reasonably under the circumstances may lead to a motor vehicle collision. In California, drivers and pedestrians alike have a legal duty to avoid acting in a way that puts other motorists and pedestrians at risk of injury or death. Now that we have established that both pedestrians and drivers have a duty to exercise reasonable care to avoid causing harm to the people around them, let’s look at the ways a pedestrian can be at fault for causing an accident. When crossing the road or street or near traffic, pedestrians in California have an obligation to follow traffic laws like all other motorists in the state. However, that’s where it gets complicated. Determining fault in a pedestrian accident is not always easy. Our Los Angeles pedestrian accident lawyer from JML Law explains that violating a law does not always mean that the pedestrian is negligent and to blame for causing the crash. That’s because California follows the legal doctrine of pure comparative negligence, which means multiple parties can be held liable for the accident. Let our lawyers at JML Law evaluate your case and determine your percentage of fault in your particular case. Schedule a free case evaluation by calling at 818-610-8800.